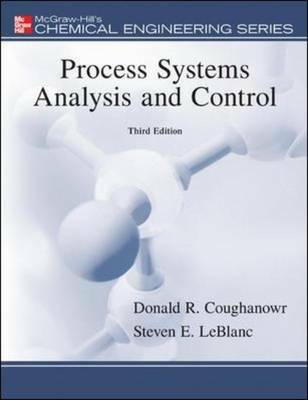 Process Systems Analysis and Control, third edition retains the clarity of presentation for which this book is well known. It is an ideal teaching and learning tool for a semester-long undergraduate chemical engineering course in process dynamics and control. It avoids the encyclopedic approach of many other texts on this topic. Computer examples using MATLAB® and Simulink® have been introduced throughout the book to supplement and enhance standard hand-solved examples. These packages allow the easy construction of block diagrams and quick analysis of control concepts to enable the student to explore "what-if" type problems that would be much more difficult and time consuming by hand.